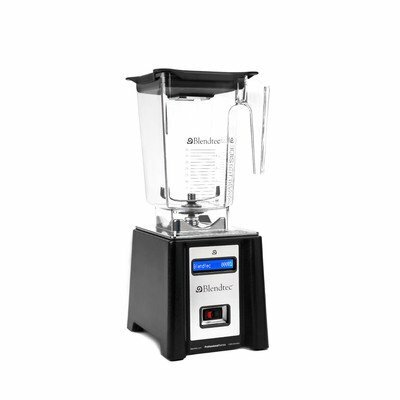 Convertible blender - Countertop or built-in With so many uses, it belongs in the counter. For the finishing touch to that custom kitchen, the Professional Series combines the best in professional blending strength with an elegant stainless steel platform to complement any countertop. The Professional Series comes with two blending jars for optimum performance; our new 3-quart Wild Side jar with a patented fifth-side and 4" blade, and our standard 2-quart jar. Both are BPA-free and backed by a 7-year warranty. Built in or Tabletop use The Professional Series is our most versatile machine, backed by an impressive five-year warranty. It can be built into the countertop so it becomes part of a kitchen's design and function, but it still has the capability to be moved to different areas by using the included tabletop base for parties, family gatherings, or quiet evenings on the deck. Amazing Results You get professional results at home. It makes everything from smoothies, fresh juice, ice cream, milkshakes, cappuccinos, and margaritas, to soups, bread dough, sauces, dressings, salsas and more! One button control The Professional Series comes with our exclusive Smart-Touch Tec-neology which means when a cycle button is pushed, the Professional Series automatically speeds up and slows down, then shuts off when the cycle is complete, so recipes turn out perfect every time. Plenty of Power With a 1560-watt motor and the ability to complete multiple kitchen tasks, it's no wonder the Professional Series is the choice of professional builders and designers to add the finishing touch to custom kitchens. With the Smart-Touch Tec-neology the blender automatically speeds up and slows down, then shuts off when the cycle is complete.